Flashing or updating Betaflight firmware on flight controllers is simple, in this tutorial I will show you the steps and how to troubleshoot problems during flashing. If you are new to Betaflight, check out my setup guide after you’ve flashed the firmware. There are instructions on how to setup your FC for your first flight, and all other related Betaflight tutorials. 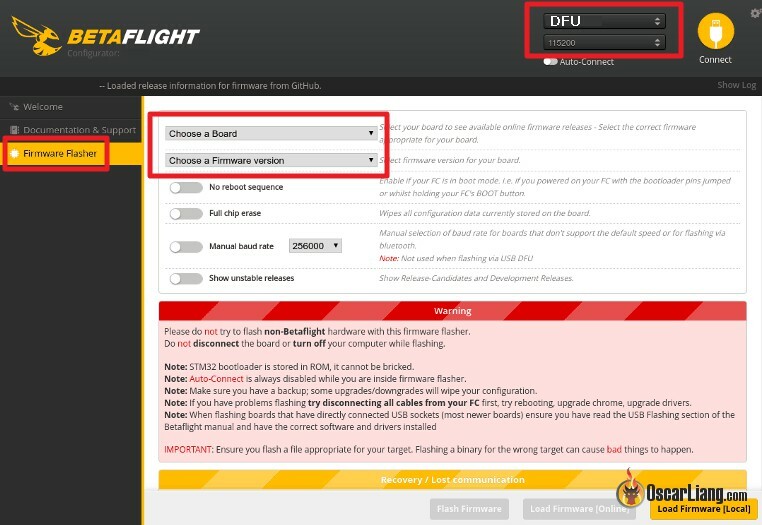 Before you begin, you will need to download and install Betaflight Configurator GUI in order to flash the firmware, see this article for instructions. Now connect your flight control to your computer via a USB cable. Before you update or flash Betaflight firmware, we recommend making a backup of your existing configuration. Because a new firmware might erase all your settings. It’s useful to know your previous PID, rates and what the ports are for things like SBUS and SmartPort, because these are different from FC to FC. Here is how you can make a backup of your Betaflight config. 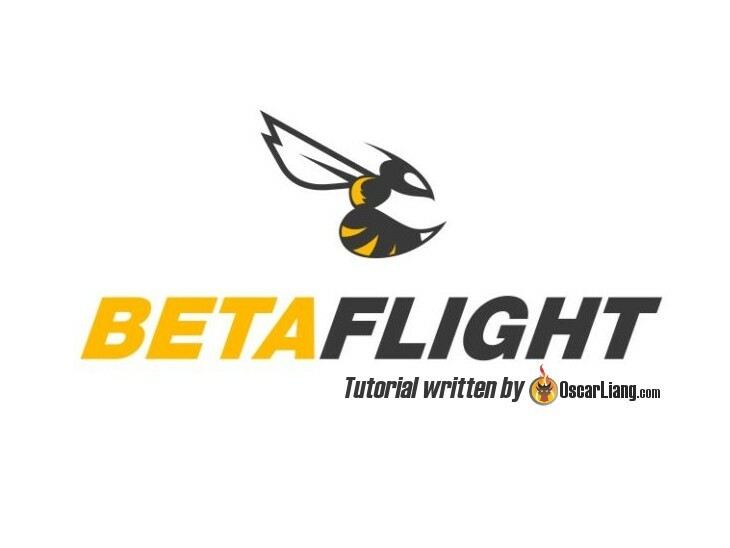 Start Betaflight Configurator, and go to the Firmware Flasher Tab. Select the COM port of your FC (it’s either COM# port or DFU) and baud rate 115200 (256000 for SPRacing F3). Select the desired Betaflight version and flight controller. Important: If you chose the wrong FC here, you can “brick” your FC. However if you did that you can fix it by overwriting the correct firmware. There are a few more options under the board selection, you can leave these disabled unless you know what you are doing. Now click “Load Firmware [Online]” and the firmware will be downloaded. You can also manually load a firmware on your computer (Load Firmware Local), this allows you to test custom firmware but that is a topics for another day. Lastly click on “Flash Firmware” and the firmware update will begin, once it’s complete you will be able to connect to the FC with the Betaflight GUI. Make sure you do not pull the USB cable during the process. If you have any trouble flashing, it can be a driver issue and here is how to fix it.